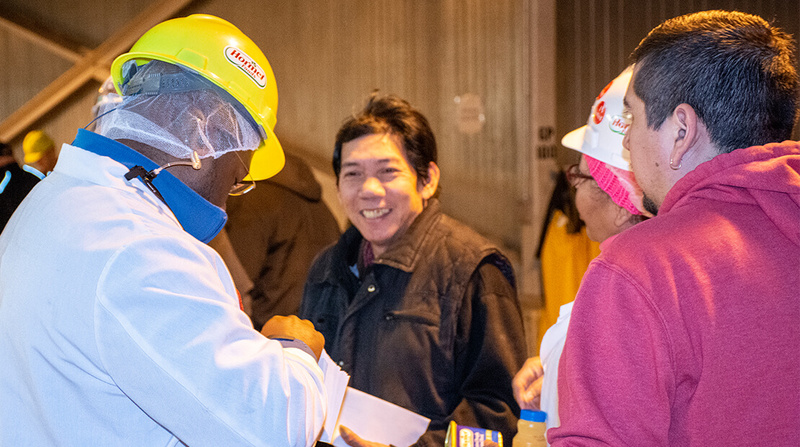 Hormel Foods Corporation (NYSE: HRL), a global branded food company, today distributed its annual profit sharing of $17.9 million to eligible hourly and salaried employees during this 80th annual Thanksgiving Eve Day tradition. The profit sharing program was started by Jay C. Hormel in 1938 and is voluntarily paid at the discretion of the company’s Board of Directors. Willmar-Based Jennie-O Gives $6.2M In Thanksgiving Bonuses To Employees Jennie-O Turkey Store is distributing $6.2 million in Thanksgiving bonuses to roughly 63-hundred employees in Minnesota and Wisconsin.